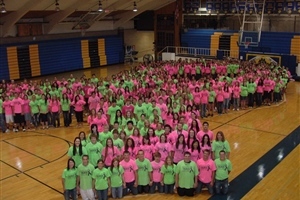 In 2009, a nurse from the Cancer Center at Good Samaritan and a teacher from Kearney High School in Kearney, Nebraska introduced four Kearney High School students to a service project idea: Organize a fundraiser to alleviate the financial burden of cancer patients receiving care in our community cancer center. 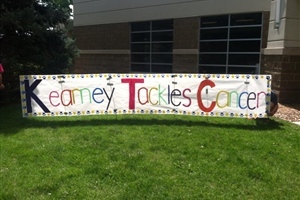 These students embraced the challenge, recruited their peers, organized meetings, brainstormed ideas and the Kearney Tackles Cancer campaign was born. The student-led and adult-sponsored group established a $10,000 goal, secured the generous support of a local print shop, Dmilaco, to help design and produce t-shirts, and proceeded to market and sell t-shirts. 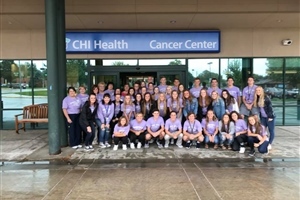 A home football game showcased their accomplishments -- a stadium blanketed in Tackle Cancer shirts along with a donation of $17,000 to the CHI Health Good Samaritan Cancer Center’s Patient Assistance Fund. In 2010, an even larger student group dove in with renewed vigor, eager to surpass the inaugural accomplishment. 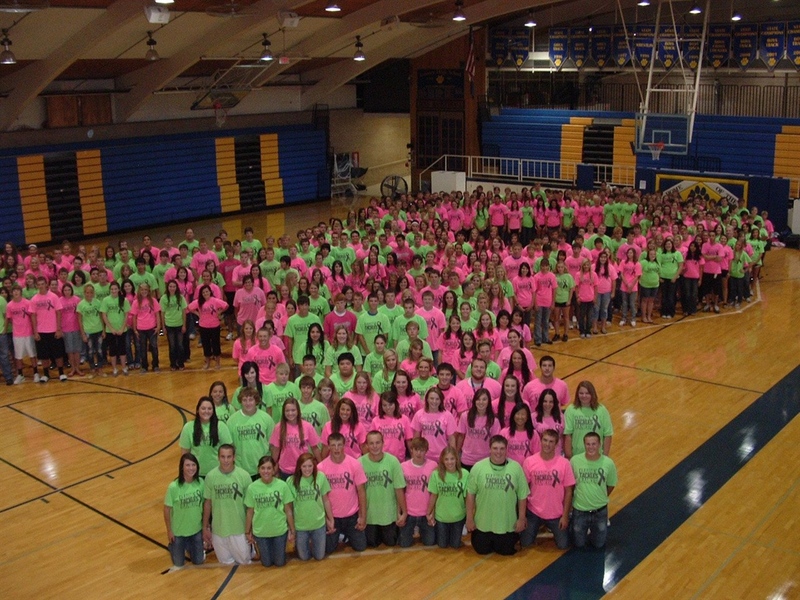 Kearney Tackles Cancer expanded to Kearney Catholic High School. In addition to selling T-shirts, students organized a community barbecue that included a raffle drawing and silent auction items, a car wash, variety show and dances. 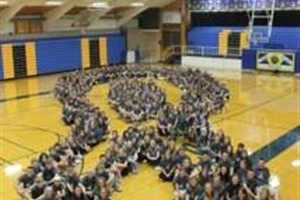 They easily surpassed the inaugural year and donated an impressive $28,000 to the fund. Entering into its 10th year, KTC’s original student leaders and members have graduated, but enthusiasm remains strong, participation is robust, and the goal of helping patients stands firm. The amount raised over a nine year span is nearing $300,000 and, with the donated funds, hundreds of patients and families have been helped with basic needs. 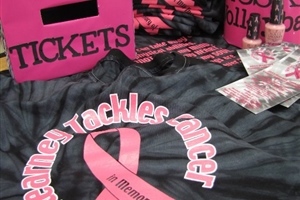 Students involved have spent countless hours gathering donations, sorting and distributing t-shirts, attending events and promoting their campaign. 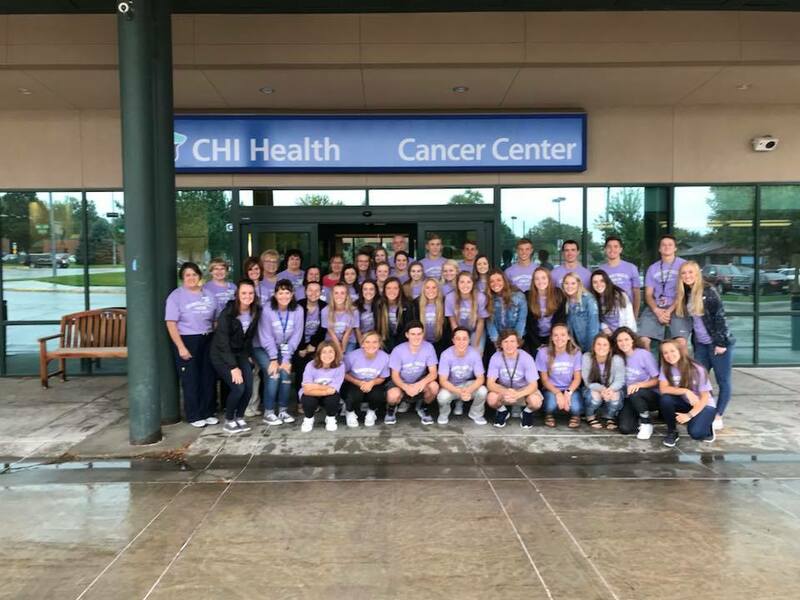 Not only have these students managed to do something amazing for cancer patients, but they have learned lessons that they will carry with them as they journey through life. 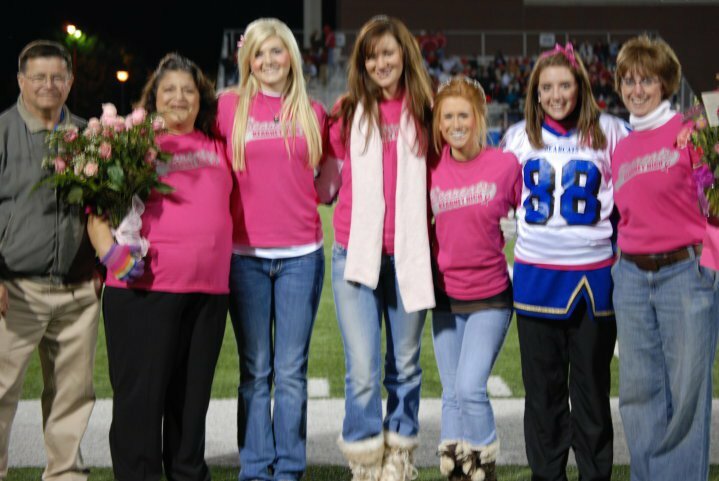 The success of Kearney Tackles Cancer would not have been possible without the support and guidance of adult sponsors--cancer center staff, parents, and teacher, Mary Kay Redman who herself fought cancer for 15 years before losing her battle the spring before Kearney Tackles Cancer’s third year. Another major factor in the success and sustainability of the campaign is the growing support and generosity of community members, businesses, and other local organizations. Local businesses have donated food, beverage and raffle/silent auction items for the annual barbecue. Other businesses and community members have made monetary donations. The local media, including newspaper and local news station have been instrumental in showcasing Tackle Cancer and what it has done for patients and families. KTC has been contacted by other organizations, groups, schools that want to get involved and contribute to the fund. 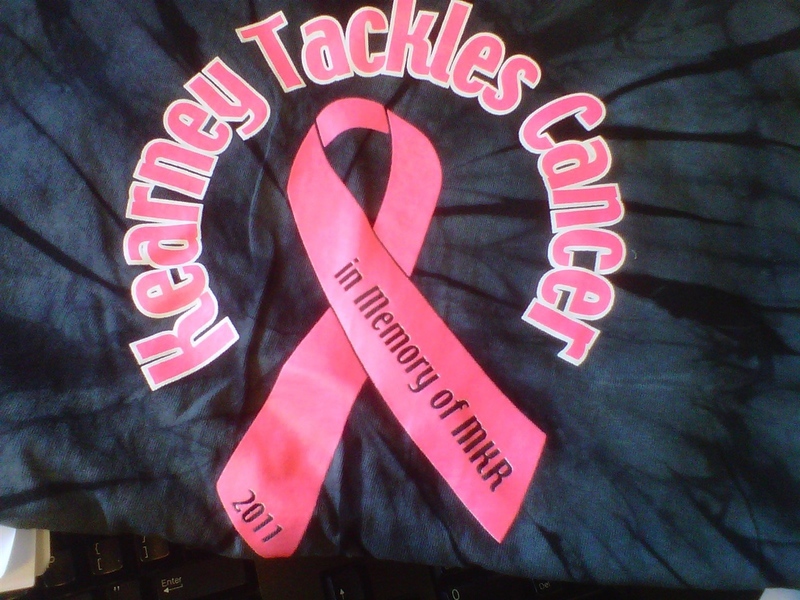 In addition, residents have heard what Tackle Cancer has done for local patients and families and have made monetary donations or have given memorial funds to the cause. According to the Association of Oncology Social Work (AOSW), more than one half of cancer patients indicate cancer costs negatively impact their focus on recovery. Financial stressors weigh heavily on cancer patients and their families whether the patient is insured, uninsured, or underinsured. In some cases, patients make treatment decisions based on the cash in their pocket. Which holds priority today? Groceries or medicine? Funds donated to Kearney Tackles Cancer are deposited in the CHI Health Good Samaritan Cancer Patient Assistance Fund managed by the CHI Health Good Samaritan Foundation and are used to purchase gas cards, Buffalo Bucks and lodging vouchers. Patients receiving cancer treatment at Good Samaritan and Good Samaritan Cancer Center are eligible for gift cards from Kearney Tackles Cancer. Hospital and cancer center staff members are always attentive to patient needs and advocate on their behalf when a financial need is recognized. Funds are given with “no strings attached,” their use determined solely by the patient. They’re often used for basic needs such as groceries, gas, lodging and medications. For some, the funds pay a utility bill or a portion of rent. Funds have also been used to replace tires on a vehicle needed for transportation to and from cancer treatment. 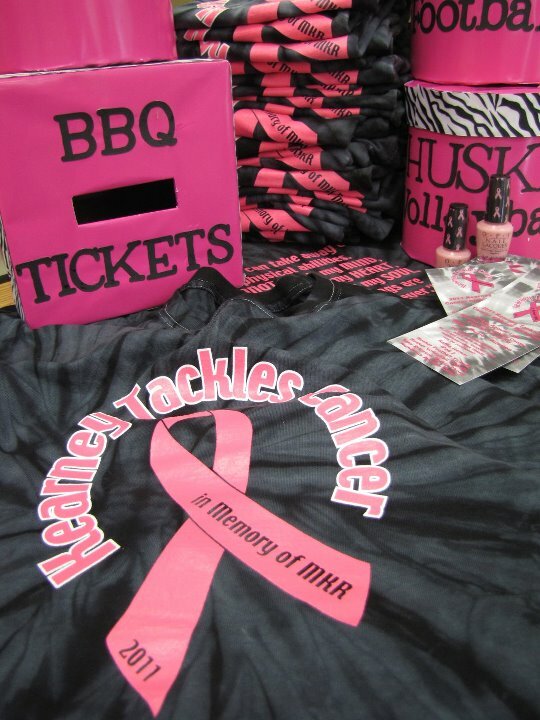 Along with the gift card, patients receive a notecard which explains the Kearney Tackles Cancer fund. The notecard serves several purposes. First, it acknowledges the students who champion the project and make the funds possible. Second, it allows patients to send an expression of gratitude if they so desire. Lastly, and most importantly, it conveys a sense of caring to patients; a message that says they are not alone in their need, nor are they forgotten as they navigate their cancer journey. 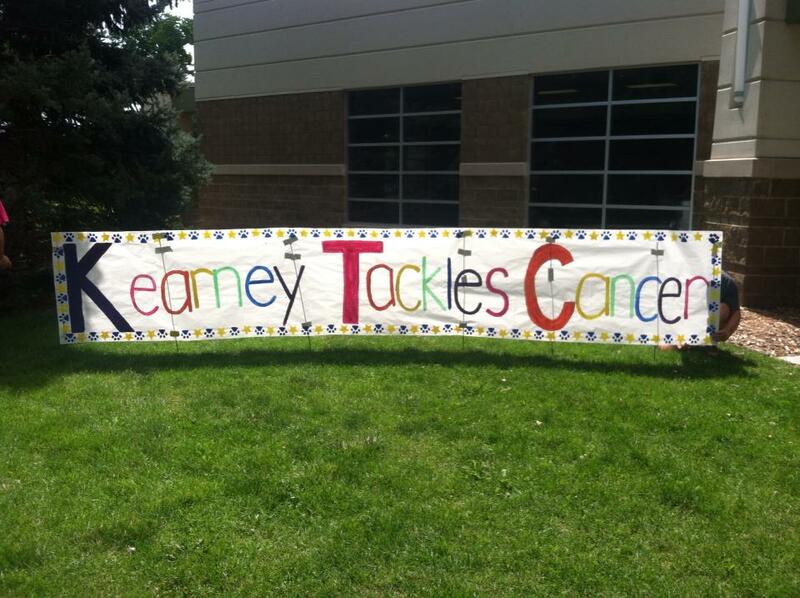 The impact of Kearney Tackles Cancer is unmistakable. The positive publicity generated each year by Kearney Tackles Cancer has increased the public’s awareness of the comprehensive cancer care available at Good Samaritan. It undeniably contributes to the well-being of patients through improved nutritional status, medication compliance, and conformation to treatment plans. Its emotional impact is seen in smiles, tears of gratitude and expressions of appreciation that take many forms. At a time when discouragement, disappointment and suffering are real threats, patients see this gift as an act of deep kindness. Its value far exceeds the dollar amount printed on the gift card. Muhammad Ali said, “Service to others is the rent you pay for your room here on Earth.” This simple service project idea has grown into a true project of service. "I am a single mom of a 9-year old son. I found out I have breast cancer and I’m not sure what I would have done without the money the Cancer Center offered me. Thank you many times." 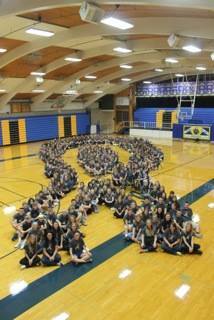 "To all the students who worked so hard to help cancer patients: I had cancer in 2001 but went into remission. It came back in 2009 and I’ve been fighting since then. Thanks to all of you, I got my car fixed so I could get to my treatments. 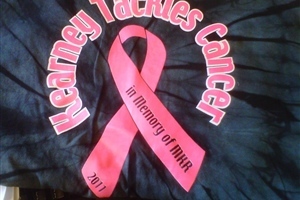 Please keep helping cancer patients." "Thank you very much for the gift cards that paid my pharmacy bill so I could get my prescriptions filled again. It is very much appreciated." 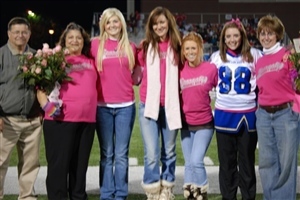 "Dear students: When I was diagnosed with breast cancer, I thought my life was over. So many emotions and concerns went through my mind. My first thought was of my 16 year old son and how I had to get well for him. Then came the worries about my job and finances. Your compassion and generosity for people you don’t know was overwhelming to me. Your gift cards for gas have taken a big worry from my mind. I can’t begin to thank you for your help or to tell you what it has meant to us. You are a wonderful group of kids."